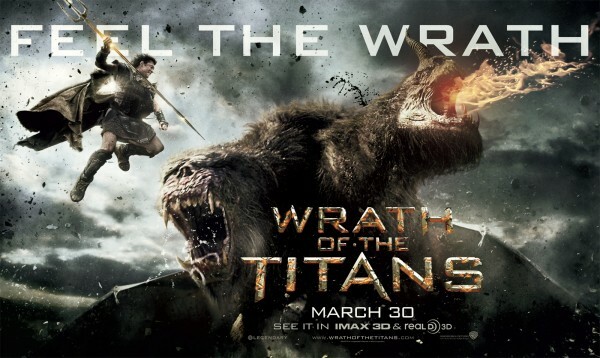 Wrath of the Titans is set in ancient times with the Gods and the Titans getting upset at each other, and that causes a few issues for mankind. Step in Perseus, half-God son of Zeus. Did you know that Perseus was Aussie? When he’s played by Sam Worthington, he doesn’t get much more Aussie, but that’s not the most ridiculous thing in this film. Shooting lasers whilst riding a flying horse through a lava creature? That’s pretty ridiculous. And so much more. Aside from Sam Worthington being extremely hot, there’s Liam Neeson, Ralph Fiennes, Rosamund Pike and Bill Nighy to name but a few. It’s big and ridiculous and kind of not really worth watching, really. Did u ever see the cheesy original? I prefer it over this version. No… I’ve just checked IMDB, there’s a Clash of the Titans from the eighties, is that the one you mean? I think I need to track it down. Fabulous!